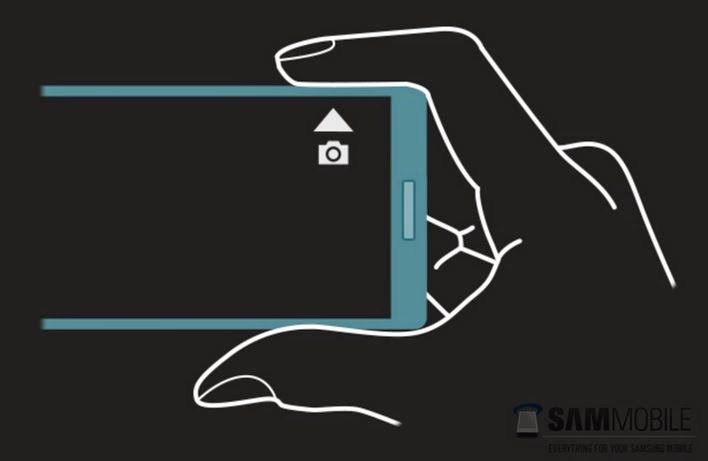 The latest surrounding the Galaxy Note 4, is that it will come with a new ‘side touch’ feature while in landscape mode while the camera is active. It is essentially a faux camera button. The picture below shows how this feature will work. It will be made possible by including a sensor where a normal camera button would be. This sensor will not be active while the device is in portrait mode or outside of the camera app. The device will feature a 16-megapixel Sony IMX240 sensor coming along with optical image stabilization (OIS). Samsung has always been a camera focused smartphone manufacturer, and they are definitely improving upon that with the Note 4, which will be debuted on September 3rd.